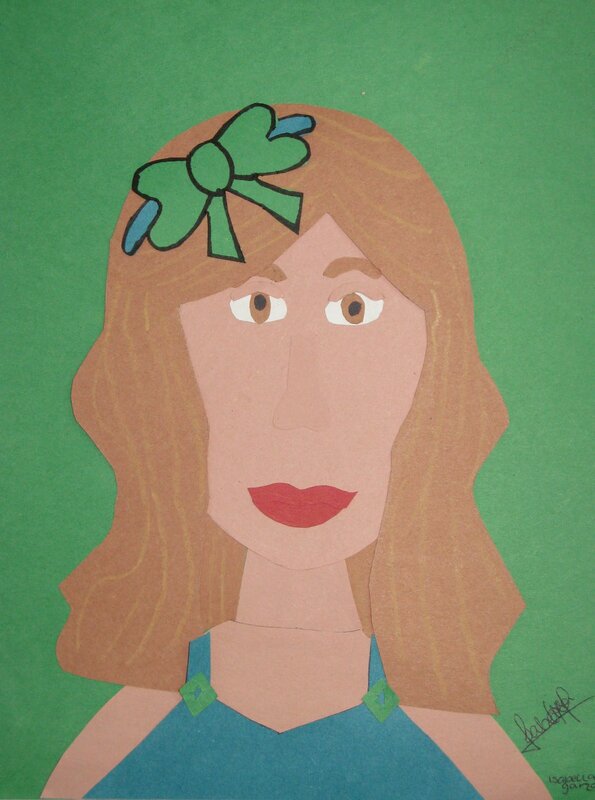 One of my favorite mini-projects…in between major projects, one of the sixth grade classes made these self-portraits out of construction paper. 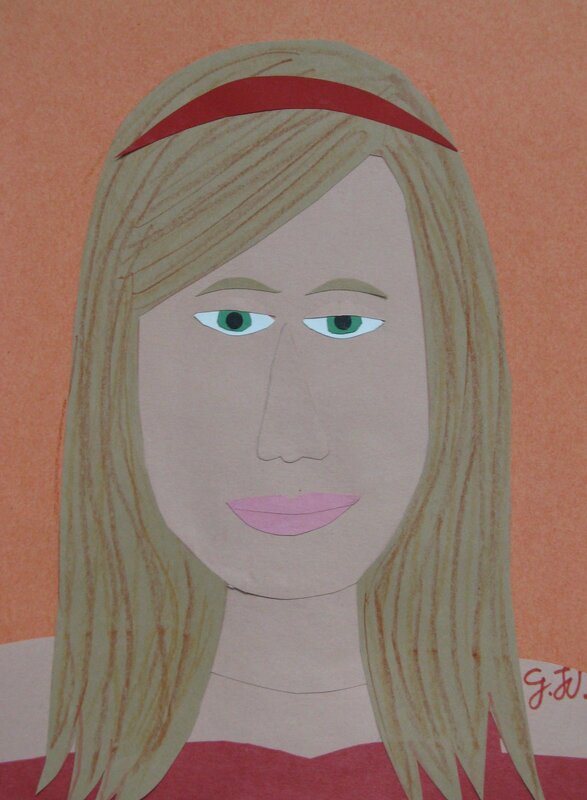 They learned the basic layout of the face (eyes in the middle, tip of nose halfway between the eyes and the chin, etc.) 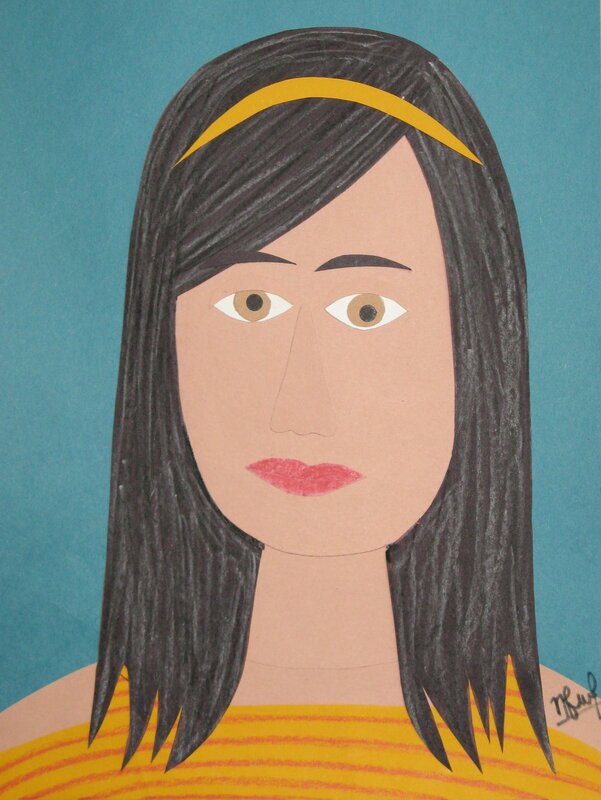 and created these fun portraits. At the end they added details with crayons to liven them up a bit. 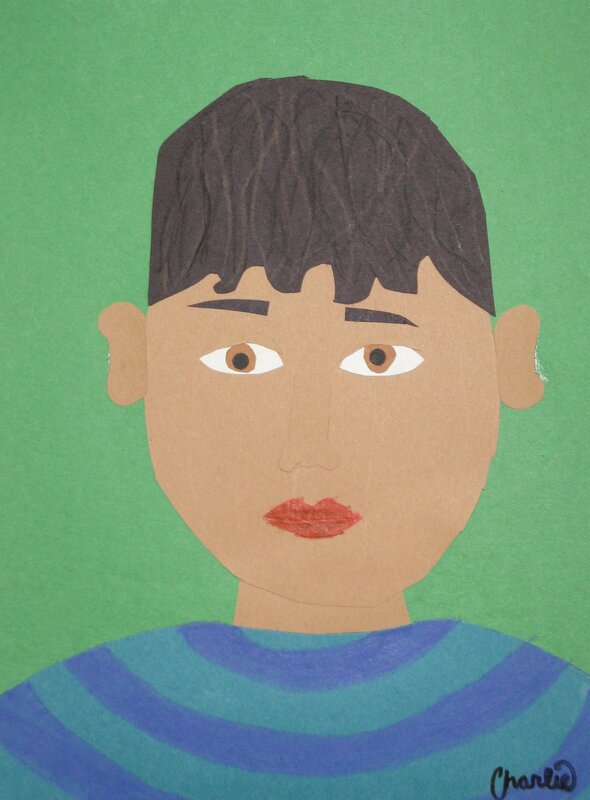 I’m curious as to how much the students use their own features in these protraits. Could you guess who did what? I like the 2-D quality. It neutralizes the exaggeration and amplification we often gives ourselves. Ooops. I hit enter before I should. That anonymous comment is from Wisconsin Mom if you hadn’t already figured that out.Wow, and my typing is a real mess these days. That should read, “we often give ourselves.” I do speak English purty good.